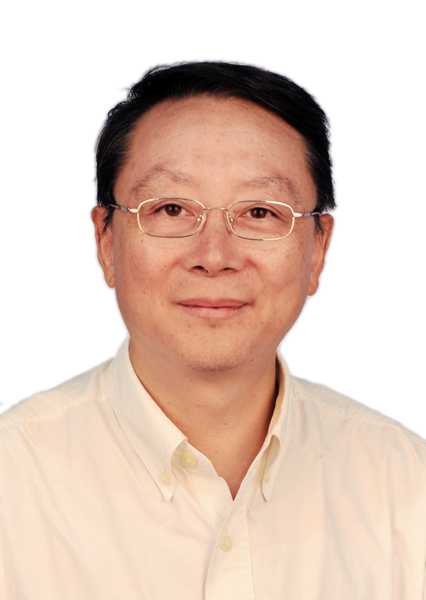 Cai Jiahe earned his Ph.D. in the History of International Relations from Nanjing University’s Department of History in 1992. He is the former Deputy Director for Academic Affairs and Professor of International Politics at the Hopkins-Nanjing Center, where he currently teaches a course on Islamic Fundamentalism. How did you get involved in researching Islamic fundamentalism? I started studying Islamic fundamentalism in the 1990s when I wrote a book on “Islamic Fundamentalism and International Relations.” At that time, people in China were not as interested in the subject as they are now. Since writing my book, I have continued to pay attention to the topic over the years, and I write articles about it from time to time. I think if we want to understand terrorism, we need to pay attention to the ideology behind it. This is because terrorism has political goals. People do not do it for economic or personal gain. Looking at Islamic fundamentalism as an ideology can help us understand why terrorists have the political goals they do. Of course, that does not mean that Islamic fundamentalism will always turn into terrorism. It can take many forms, of which terrorism is just the most radical. You just mentioned that in the past, people in China did not pay much attention to the topic of terrorism. Has that changed in recent years? During the 1990s, a few cases of terrorism had already started appearing in China, but it was almost exclusively limited to Xinjiang. In the last ten years, however, the impact of terrorism in China has been growing steadily, and recently it has started to spread to places outside of Xinjiang such as Beijing and Kunming. This seems to be an indication that terrorist groups are getting stronger and more capable than they were in the past. I think the strong anti-terrorism measures that have been put in place by the Chinese government in Xinjiang, coupled with the large police and military presence there, have caused the terrorists to move to other parts of the country where it is easier for them to carry out attacks. In the past, other cities in China did not have problems with terrorism, which means their security is somewhat lax. [Moreover], the police have no experience with terrorism and do not really tend to carry weapons. What effect do you think the recent attack in Kunming will have on China’s anti-terrorism policy? I think it will cause cities outside of Xinjiang to start putting in place anti-terrorism measures of their own. Security will be especially tight during big international events like the Youth Olympics in Nanjing this summer. We can’t simply rely on increased security to eliminate terrorism, however. We also need to think about deeper issues like how to resolve the ethnic conflicts in Xinjiang and how to improve Xinjiang’s economic development. The government has already done a lot to develop Xinjiang’s economy, but that is only part of the solution. For example, economic development has not always worked so well in Saudi Arabia, where, although the people are not economically deprived in any way, many of the youth are still attracted to extremist terrorist organizations. I think that, aside from economic development, it is equally important to find a way to make the Uyghur people feel their religion and cultural identity is something [of which] to be proud, instead of being a burden or an encumbrance. People sometimes criticize the Chinese government for conflating independence movements with terrorist movements. Do you think we should be more careful about separating these two ideas? Of course, these two are theoretically different. The problem is that when it comes to Islamic fundamentalism, there is a whole network of connections between different groups within the society. The mainstream members of the group are not interested in carrying out assassinations or violent attacks. But some smaller, related groups may think the mainstream group is too moderate and [might] choose to carry out terrorist attacks to bring attention to their demands. So sometimes I think it really is not possible to separate the two. The East Turkestan Independence Movement is active outside of China, and they are against using violence. They argue their demands are based on human rights and the desire for self-determination and independence. They will certainly argue they are non-violent, but in reality sometimes violence and anti-violence intersect. China’s democracy is still developing, and it still uses somewhat traditional methods to control the society. This means the government will set broad goals when it comes to dealing with this issue. Do you see Islamic fundamentalism in neighboring countries affecting China at all? The influence of Islamic fundamentalism and extremism is growing in China’s border regions, especially parts of Central Asia, Afghanistan and Pakistan. China’s Western border is rather porous, so it is easy for Xinjiang extremists to travel to neighboring regions for training. The place where extremist organizations have the potential to impact China the most, especially economically, is Pakistan. China has quite a lot of economic cooperation with Pakistan, and terrorist activities are already affecting Chinese investments there. Recently, the Pakistani government has started using the military to protect Chinese projects. We have to wait and see how successful they are. If the Pakistani army is capable of controlling the threat, that is great. However, if they are not, China will have a difficult decision to make. It can choose not to continue investing in Pakistan and give up on its projects, or it may choose to send in its own military to work in cooperation with the Pakistani military to control the situation. I think this is a real possibility. However, this approach may come into conflict with China’s principle of non-interference in the affairs of other countries. Because Pakistan may force China to choose between adjusting its foreign policy agenda and giving up valuable overseas investments, I think it is a place that we can watch to see what kind of policy choices China’s government will make in the coming years.